This book explores a wide range of modern graphics programming techniques and GPU compute methods to make the best use of the Vulkan API. Teaches techniques that can be applied to a wide range of platforms desktop, smartphones, and embedded devices. Presents exciting imaging processing and post-processing techniques. This book is ideal for developers who know C/C++ languages, have some basic familiarity with graphics programming, and now want to take advantage of the new Vulkan API in the process of building next generation computer graphics. Some basic familiarity of Vulkan would be useful to follow the recipes. 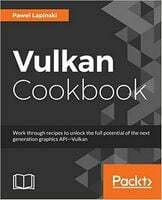 OpenGL developers who want to take advantage of the Vulkan API will also find this book useful. Vulkan is the next generation graphics API released by the Khronos group. It is expected to be the successor to OpenGL and OpenGL ES, which it shares some similarities with such as its cross-platform capabilities, programmed pipeline stages, or nomenclature. Vulkan is a low-level API that gives developers much more control over the hardware, but also adds new responsibilities such as explicit memory and resources management. With it, though, Vulkan is expected to be much faster. 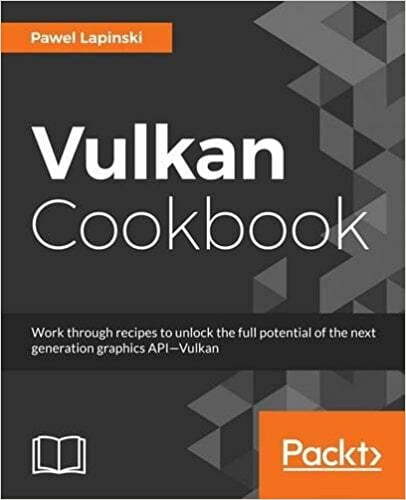 This book is your guide to understanding Vulkan through a series of recipes. We start off by teaching you how to create instances in Vulkan and choose the device on which operations will be performed. You will then explore more complex topics such as command buffers, resources and memory management, pipelines, GLSL shaders, render passes, and more. Gradually, the book moves on to teach you advanced rendering techniques, how to draw 3D scenes, and how to improve the performance of your applications. By the end of the book, you will be familiar with the latest advanced techniques implemented with the Vulkan API, which can be used on a wide range of platforms. This recipe-based guide will empower you to implement modern graphic programming techniques and help gain a solid understanding of the new Vulkan API.